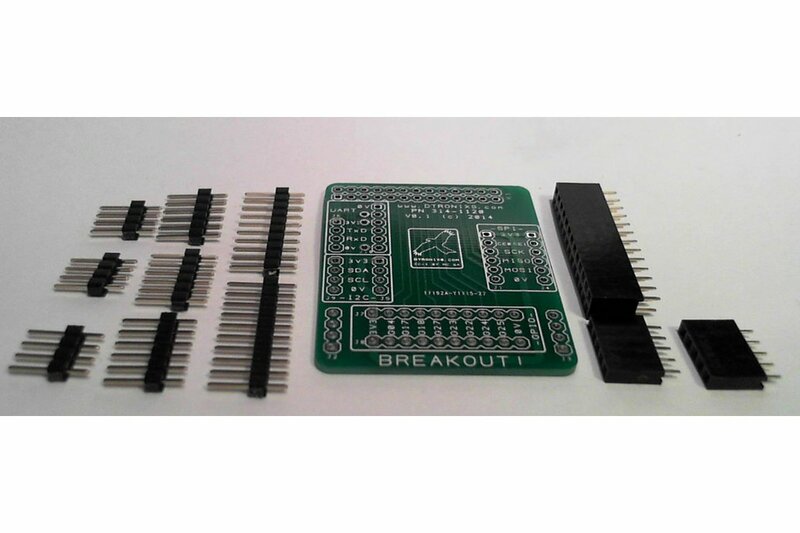 MiniPIIO Breakout! 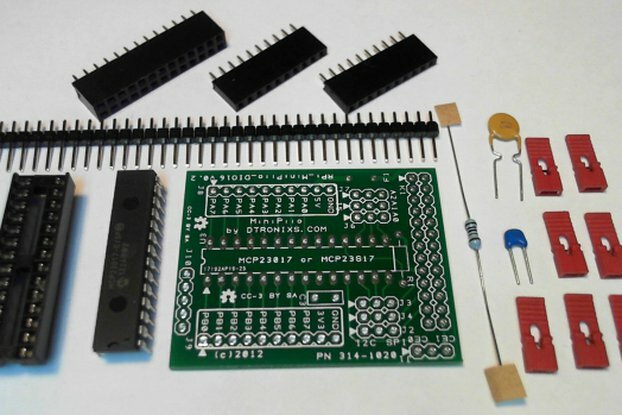 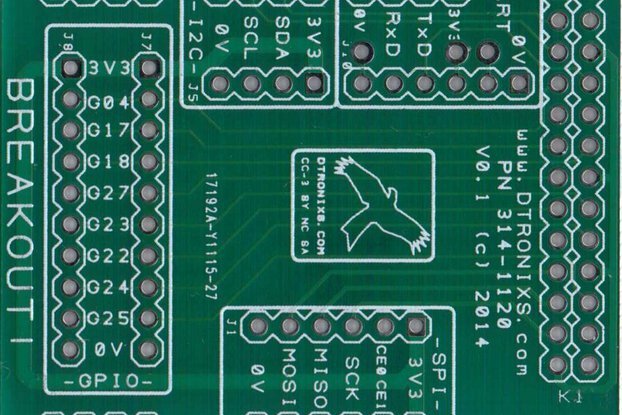 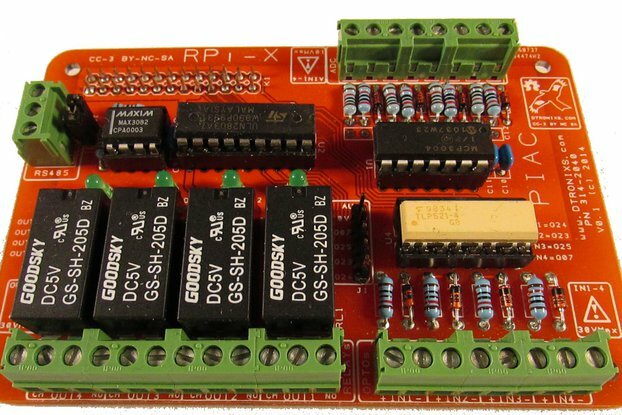 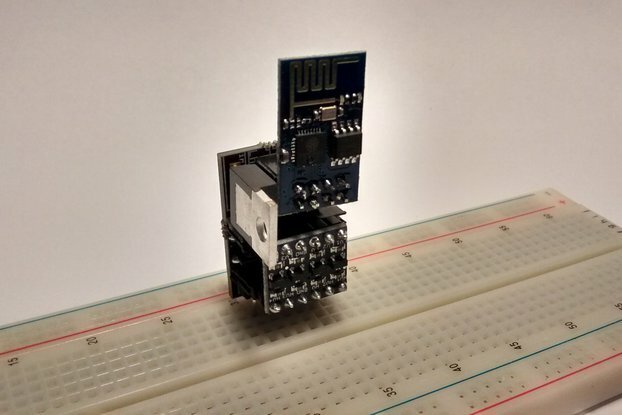 is a great protoyping add-on board for the Raspberry Pi. 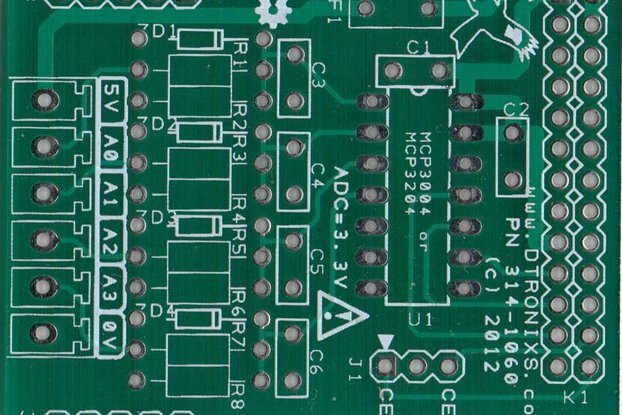 It breaks out (hence its name) all the Pi's expansion I/O into four neat little groups. 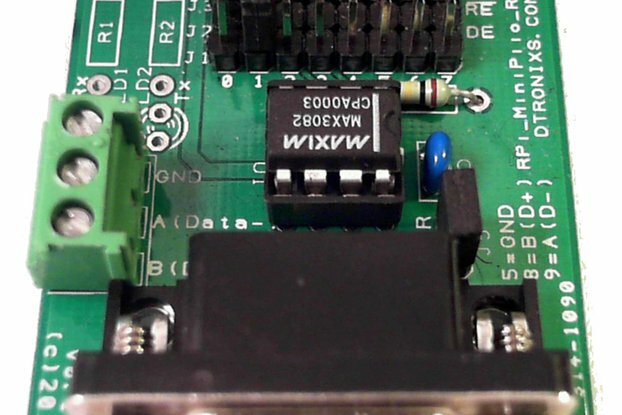 UART is broken out into a 6-Way and 4-way pin header. 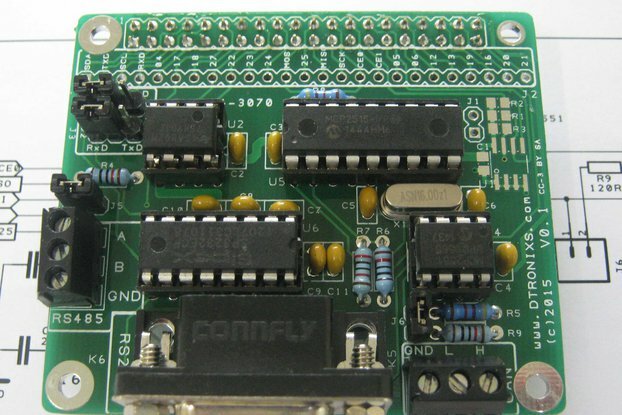 The 6-Way is FTDI USB Cable compatable. 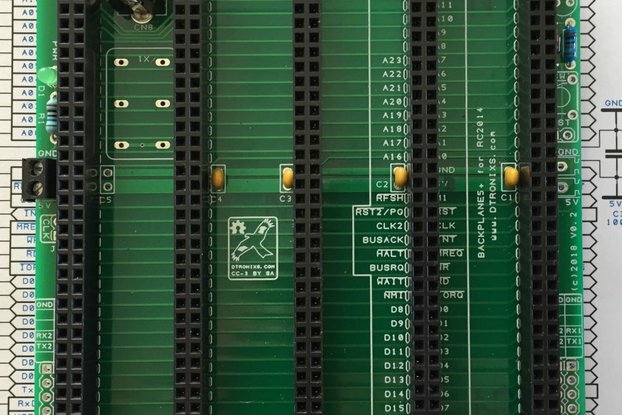 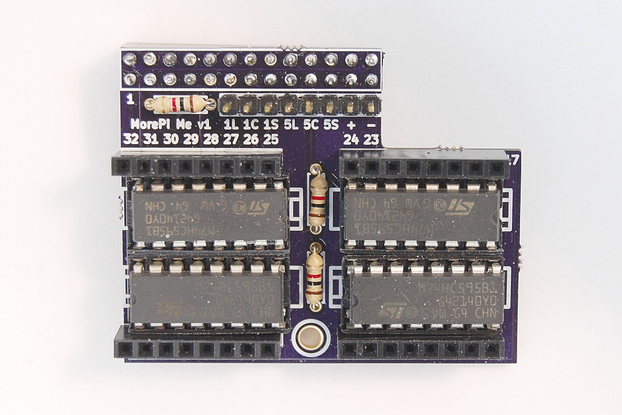 SPI is broken out into two 6-way headers, each with it's own SPI chip select. 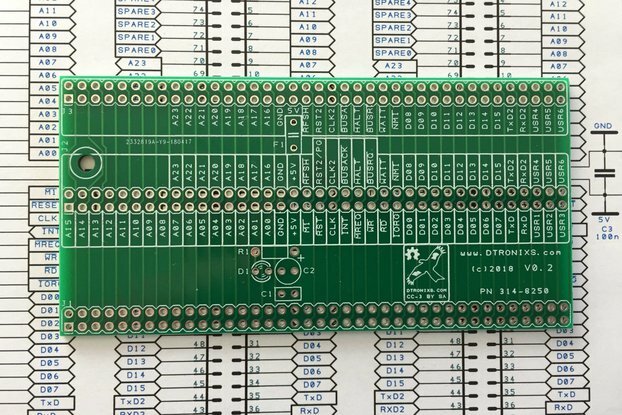 I2C is borken out into two 4-way headers. 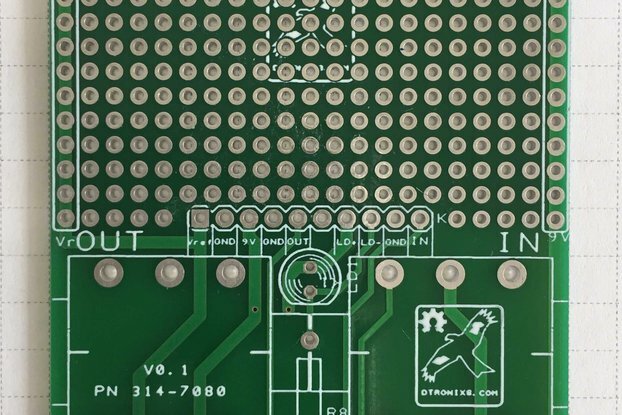 GPIO is broken out into two 10-way headers. 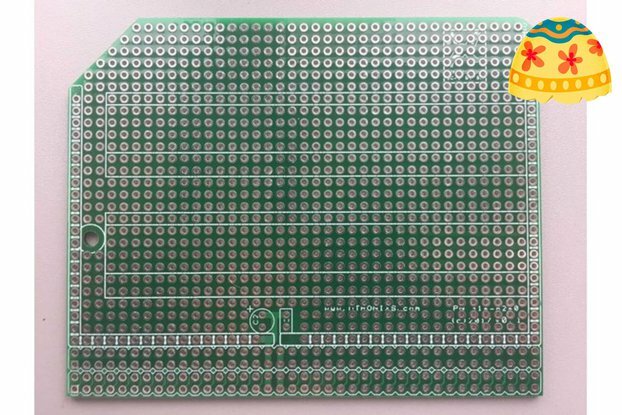 GPIO4/17/18/22/23/24/25/27 and 3.3V and 0V.